Our summer camp at Gloria J. Parks is well underway! 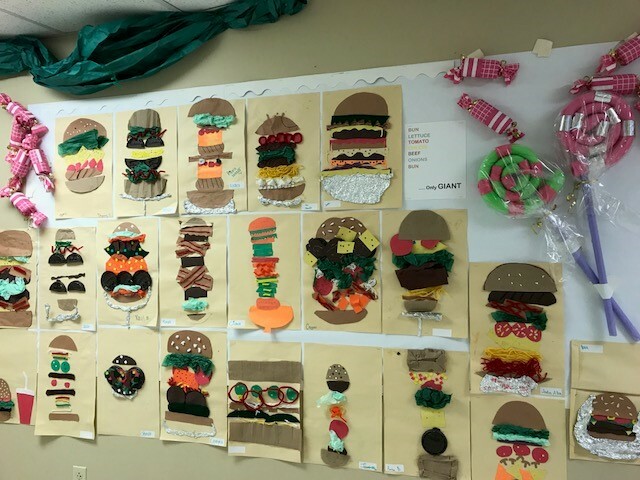 Check out some of the awesome art projects our campers have made. Stop by 3242 Main Street to see them up close and personal! 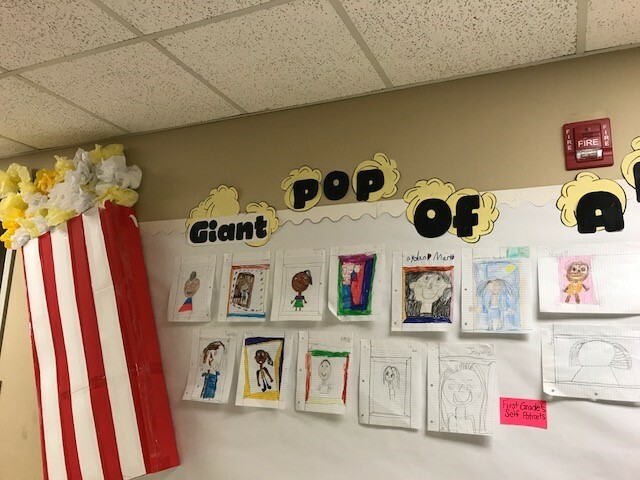 Giant Pops of Art! 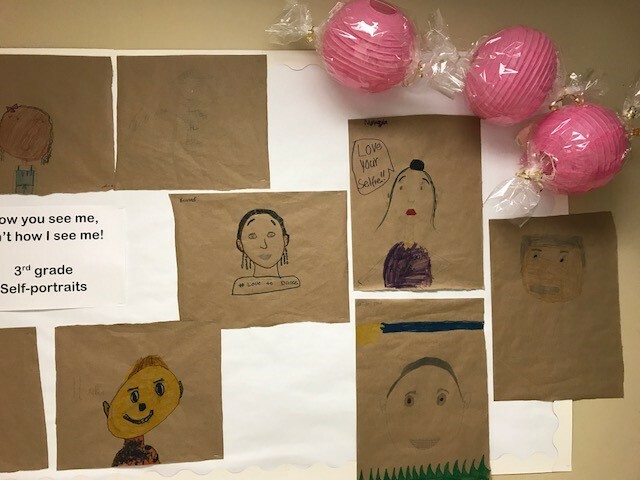 First grade self-portraits. How you see me, isn’t how I see me! Third grade self-portraits. 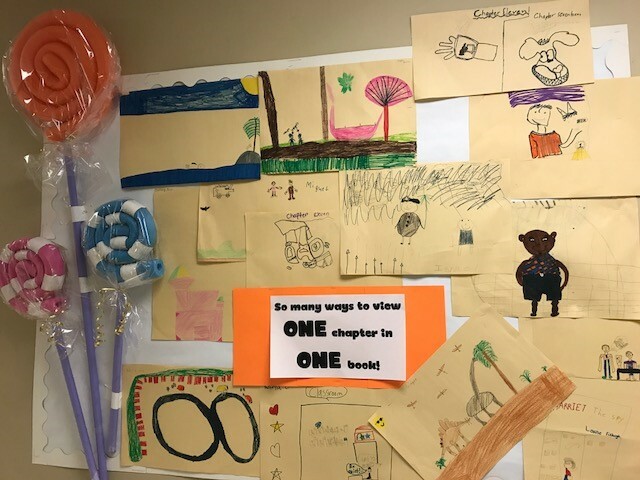 So many ways to view ONE chapter in ONE book! Third grade, Illustrated individual books. Bun, lettuce, tomato, cheese, beef, onions, bun… only GIANT! Grades 5-8, Mini Chefs Classes led by UB Pediatrics’ students.